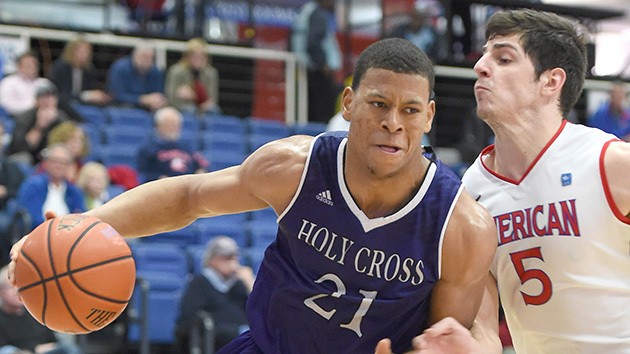 Everything you need to know about the Holy Cross Crusaders as the NCAA tournament begins. The Case For: Despite a dreadful regular season, Holy Cross went on a four-game run to win the Patriot League tournament and qualify for the conference’s automatic bid. The fact that the Crusaders were able to beat teams like Lehigh and Bucknell—each of which defeated them twice this season—speaks to coach Bill Carmody’s ability to adjust. Carmody is appearing in his first NCAA tournament since 1997–98, when he led Princetonto the second round as a No. 5 seed. Although the Crusaders’ sub-200 defense won’t scare anyone, they do have an above-average ability to generate turnovers, as evidenced by their 65th-best turnover rate and 70th-best steal rate in the country. Although they won’t be long for the Big Dance they could pick up a win over Southern in the First Four. The Case Against: Holy Cross is the worst team in the NCAA tournament. (The good news for them is that their opponent, Southern, is the second worst team in the Big Dance.) The Crusaders lost to six sub-275 teams along the way. Their best win was against Harvard at home by one point on Nov. 29. Their offense and defense are both outside the top 200, and their adjusted tempo and average possession length are outside the top 300. It seems unlikely they’ll be able to have success playing to another team’s style given that they haven't seemed to master their own yet. If Holy Cross hadn’t earned its league’s auto-bid, its season would be over by now.